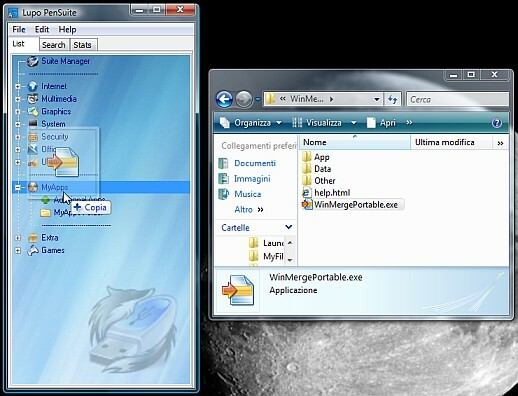 This tutorial explain how to insert additional programs and games in the Suite. Extract downloaded application in "MyApps" folder. 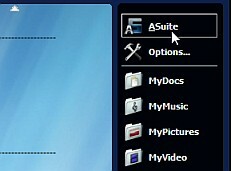 Click on "ASuite" button (or on "Show ASuite" if you are using the classic mode) to show the launcher window. Drag&drop the application executable file on the Suite menu. The process is complete. Now you can move and edit application links in order to personalize your Suite menu.